Rita McBride, Greenland, 2015, plasma-cut steel plate, 60 3/4 × 81 1/2". 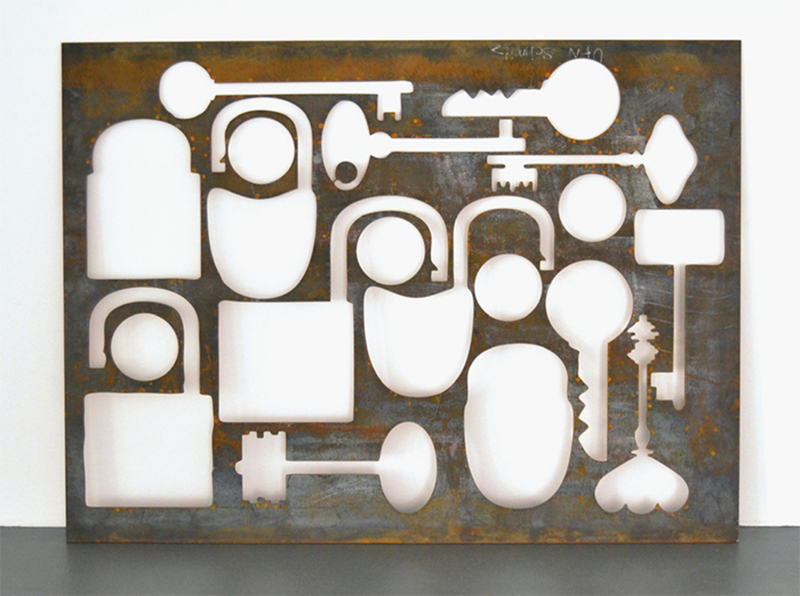 If ever there was an exhibition of art that seemed totally secure, literally under lock and key, it was Rita McBride’s “Gesellschaft”: The show included plenty of keys as well as several locks and then more keys. But where is the door they unlock? The ten-millimeter steel plates from which the locks and keys were cut were on view as well, although their meaning remained likewise obscure. 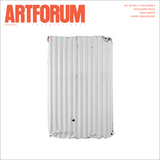 The use of metal slabs brought Richard Serra’s work to mind, and the installationmost of the objects were arrayed along the gallery’s wallsclearly suggested a Minimalist sensibility in the use of space. Indeed, McBride’s art is grounded in the Minimalist tradition, even if the proportions of her objects are more readily reminiscent of Claes Oldenburg’s Pop-art toothpaste tubes and lipsticks.